Since I started using Facebook, I am seriously looking at the security and privacy ramifications that we expose ourselves to when we do social networking (such as Facebook). With that being said, I encourage you to read “4 Ways to Crack a Facebook Password & How to Protect Yourself from Them“. You will see more postings, from me, in the future in regards to Facebook vs. Security and Privacy, as an effort to help protect ourselves from that element of our society who prey on honest people. If you have a Gmail (Google) account you need to bookmark the link provided below that gets you to a dashboard (called “My Account”) that gives you quick access to settings and tools that let you safeguard your data, protect your privacy, and decide how your information can make Google services work better for you. You can even use the dashboard to help find your phone if you lose it; or, to see how much Google Drive space you have left. Many Gmail (Google) account users are unfamiliar with this dashboard. I highly recommend that you put this one on your bookmark list and periodically visit the dashboard site to review your settings. Sign-in and Security – Control your password and Google Account access (Signing in to Google, Device activity & security events and Connected apps & sites). Personal Info and Privacy – Manage your visibility settings and the data we use to personalize your experience (Your personal info, Manage your Google activity, Ads Settings and Control your content). Security Checkup – Protect your account in just a few minutes by reviewing your security settings and activity. Privacy Checkup – A quick checkup to review important privacy settings and adjust them to your preference. Find Your Phone – Whether you forgot where you left it or it was stolen, a few steps may help secure your phone or tablet. My Activity – Discover and Control the data that’s created when you use Google Services. Found the following information on the Microsoft Support site that may be helpful in deciding which recovery option you should use in the event you are troubleshooting and experiencing problems with Windows 10. Problem: Your PC isn’t working well because of a recently installed app, driver, or update. Problem: Your PC isn’t working well and you’re not sure why. Problem: You want to clear all your personal data off of your PC before you donate or recycle it. Problem: Your PC won’t start. Or You tried to reset the PC, but encountered the error: There was a problem resetting your PC. Over the years I have encouraged people in the world of computer information technology to ALWAYS protect your data and your privacy. Today I have been reading numerous articles from numerous tech sites who are not happy with the decision where Congress cleared the way for internet providers to sell your web browsing history. It has now cleared the Senate AND the House and is heading to the President’s desk for his signature. I encourage you to visit the source link below to learn more about this. The article reflected below I have posted several times since its’ original posting (back in 2010). What prompted me to dust this off and bring it back out of the archives is that today I received a local government generated email to advise recipients of other government agencies of an impending snowstorm. What caught my attention was that as this email was sent to a very large body of people. I was able to see every name and email address to folks I am guessing would not want their email address and name made that public. As this email get’s forwarded, more and more email addresses will be revealed. To protect the privacy of others, it is best practice to use “Bcc” when sending email to multiple recipients. Did you know that if you use the Bcc field in your email client to address and send an email or want to send a copy of an email to multiple users, the recipients will not see whom you sent the email to? Many know this trick; however, I still find that many do not. When using the Bcc field to send your emails, the people receiving the email will not know who the other recipients are. It is not a trick of hidden magic. It is that the addresses of the other recipients are simply not shared. I often receive forwarded chain emails; usually consisting of jokes, humorous movies, prayer requests, etc… Occasionally I will find one these emails humorous or important enough that I will pass it on; HOWEVER, prior to doing this I perform some housecleaning steps. I will remove any “FWD” text (usually in the subject line) and will remove any email addresses I find in the body of the email that reflects the email addresses of recipients who have already received the email. After performing these housecleaning steps, I will enter into the the Bcc field, in my email client, the recipient’s email addresses, from my address book, to send (or forward) the email. If the email client requires at least one entry in the “To” field, I simply enter my own email address. The benefits of using the Bcc field is simply this. You are protecting the privacy of other people. Currently I have approximately (5)-five email accounts that I use for specific purposes, from a variety of email services, with one of those accounts being my primary email account. I am very protective of that primary email account address and do not want it thrown about for the spammers to get hold of or for strangers to see. For example, I have found people’s email addresses in forwarded emails that I know and have not seen for years. They are very surprised when I contact them; and, will often ask, “How did you get my email?”. I explain that I simply pulled it from a forwarded email. Be courteous to others and learn to use the Bcc field in your email; AND, when possible avoid chain emails all together. My Account puts privacy and security tools in one place, including long-standing features like Ads Settings and newer ones like the Privacy and Security Checkups. Collectively, these tools make it easy for you to control your privacy and security from any device. With this being the one year anniversary for the “My Account” hub, Google has added 3 new features to easily access your controls and protect your data. Feature #1: Find your phone is a new feature that will help you if your phone is ever lost or stolen. Feature #3: (Coming Soon) Access a shortcut to your account by googling (searching) for your name. You will be required to be logged into your account, in order for this to work. Control What People See About You On Google Services – If you are a subscriber to any of Google’s services, it is important to know that you can control what people see about you at aboutme.google.com. While you are there, click on the privacy checkup where you can review and adjust what data Google uses to personalize your experience, and update what information you share with friends or make public. Using The Disk Cleanup Tool In Windows 7, 8.1 and 10 – Cnet has a nice tutorial (click here), on how to clean up the junk in Windows using the built-in cleanup tool. The tutorial covers each aspect of what the tool removes and cleans from your system such as the browser thumbnail cache, system files, system restore files, the hibernation cache, and the recycle bin. MORE Quick Links To Amazon Holiday Deals – As you probably have noticed I have an obsession with Amazon and the challenge of locating their best deals. As Christmas gift giving (and receiving) nears, I really go on the hunt to bookmark links to their holiday deals. Below is my latest collection to share with you. Friend of mine pointed me to this NBC News Video that explains in approximately 3 minutes how our smartphones (whether it be an Apple iPhone or Google Android Phone) are configured, by default, to track everywhere you go and keep a history of your movements. If you are not familiar with the settings on your phone that turn “on” this services, I highly recommend you take a moment, watch the video, and learn how to turn “off” these service. How scary is this? I have an Android Smartphone and when I purchased the phone, I had turned the Google Location Services to “off”. I knew full well this was a tracking component; but, what I didn’t know was how powerful it was, until now. For experimental purposes (and for benefit of this article), I turned the services back “on” and drove my wife to work. When I returned home I went to my desktop computer and went to Google’s Location History web site (you must have a google account in order for this to work). Low and behold my every movement from leaving my house, taking my wife to work, and returning home was tracked. Also, to visually demontrate this, below is a screenshot (from my smartphone) where this service tracked my movements using Google Maps. I deliberately reduced the screenshot size so as not to reveal my location. If you notice to the left side of the map there is a calendar. If you have the service turned “on”, you can click on any date to determine where you have been (or your cheating lover), with associated timestamps. You can also export the data to an XML file and most importantly an option to delete the data and the history… Again, watch the video and know how to turn these settings “on” and “off”. One of the newest concepts out there for managing passwords is the concept where you only have to remember ONE permanent “keyword”. Based on that “keyword” a password is generated (and remembered) for whatever login you require. When you need to get the password, you simply return to the password managing site, enter the keyword, what you need the password for, and the password will magically appear. How these password managers (or generators) work is that a secure hash algorithm is used to generate the password which makes reverse-engineering of your keyword virtually impossible. The problem with some of these types of password managers is that: 1 – they are all mostly online and 2 – many of them will only accept website names; thus, restricting their usage. Today I want to share with you an online service called Password Live that uses the same concept, as previously mentioned. Where Password Live is unique is that it will accept whatever you throw at it; PLUS, there is a downloadable desktop version available. On top of that, in comparison to other similar applications of this type, Password Live has taken into account that some logins will not allow you to use special characters or numbers and some sites restrict the length of the passwords; therefore, with Password Live you can manipulate the password types and password lengths. In the end, with Password Live you end up with a very strong password. Type ‘secretkey123’ into the ‘secret keyword’ area. Type ‘gmail’ into the ‘What for?’ area. Press ‘Generate Password’ and you will see your password for gmail. Now change ‘gmail’ to ‘amazon’ and press ‘Generate Password’ again. You will see the new password for amazon. If you change ‘amazon’ back to ‘gmail’ again, you will see the very same password you did previously! It means that you only have to remember that one secret keyword to have access to all your passwords. In conjunction to using this program, I use a password manager, called S10 Password Vault, to store my passwords, as an added measure of security and backup. 404 Tech Support, a member of the What’s On My PC blogroll, posted an article CCleaner-like app for Android that caught my attention; BUT, the real attention grabber in the article was one of the apps he recommended, called Clean Master. I downloaded Clean Master and installed it on my Android smartphone (Sony Xperia X10) and installed it on my Android Tablet (Toshiba Thrive). Clean Master is an approximately 1.8 mb install that is worth its’ weight in gold. After using Android for quite some time now and after installing (and uninstalling) numerous apps, I often wondered just how much data pollution was occurring on these devices. The term data pollution is a term I made up to describe leftover files and hidden files that you, the user, is totally unaware of. These files on an Android device can include history files, cache files, residual files and the app packages (.apk files) that Android uses to install apps. What I soon discovered, after installing and running Clean Master, is that the accumulation of these files can easily run into hundreds of megabytes. On my phone, which is an older powerhouse Android phone (Sony Xperia X10), space is precious to me. After running Clean Master, I regained 35 MB’s of space. On my tablet (Toshiba Thrive), which I call my Android workhorse, I was able to reclaim nearly a gigabyte of space. I found Clean Master to be safe and did not alter or effect the operation of either of these devices. Can My Phone Get a Virus? Yesterday, was a first with me that taught me that I need to be now thinking outside the box; the Windows OS box that is… A friend of mine, in his 80’s, asked if I could help him with an email problem he was experiencing on his computer. What I was expecting was a computer sitting on or under his desk or a notebook computer, but what I found was that this well seasoned friend of mine was using an iPad. I was like, hmm, hmm, and hmm… ; where do you turn this thing on at (just kidding). I actually had an iPad in my hands a few times, so I did at least know where the home button was located. The problem he was facing was that the email client suddenly had stopped displaying the contents of any of his emails. The left side of the email client showed the email titles; however, when you finger tapped an actual email, it was no longer showing the content of the email on the right side of the window. After navigating around in the settings and confirming the settings were properly set, etc…, I came to the conclusion that this was a bug in the email app that was causing it to hang and wasn’t releasing itself from memory. If you remember, several days back I posted the article All It Took Was Unplugging The Computer and Plugging It Back In as a potential fix to many computer problems. With this thinking in mind, I told my friend, “Let’s try this… We will completely shutdown the iPad, count to 10, then restart it”. What I soon learned is that he had never completely shutdown the iPad since he owned it. Note: Folks, these tablets (iPads, Androids, etc…) are like giant smartphones and if you ever owned a smartphone (or cell phone) you soon learn that you need to completely power down the unit on occasions and reboot it. What this does is refresh the operating system and releases any memory resident programs or issues that have been cached. Sure enough, after restarting the iPad and it came back to life, I went back to the email client and voila’ problem solved. My friend was back in business and could now read his email. Solution #1: Completely power down the iPad. Hold in on the hold button (which I called the power button) that is at the top right corner of the iPad. A red slider will appear. Slide the slider to the right to power the iPad “off”. Count to 10, then restart the iPad. Solution #2: You can perform what is similar to ctrl+alt+del on your computer by holding both the sleep and home buttons together (for approximately 10 seconds) until you see the Apple Logo. Ignore the red slider. The iPad will reboot. Solution #3: Simply double click the home button, press and hold the mail icon and tap when the red dash appears to refresh or (kill) the app. Again, I am not an iPad expert and these solutions may vary from generation to generation of iPad. Also, for anyone that is into computers and information technology, be aware that you now have the tablets on your plate to deal with. What’s On My PC welcomes the following Guest Article, “Three Ways to Securely Wipe Files from Your PC” by Christoph Laumann, President & Managing Director, TuneUp. The TuneUp blog is written by a team made up of certified Microsoft experts, authors, and editors from major computer magazines. The people behind this blog also head up one of the most successful tuning suites around, called TuneUp Utilities. If you’re one of the many people who upgraded their PCs this holiday season, you’ll likely want to donate or dispose your old ones. However, it’s important to securely wipe critical files that contain personal or sensitive information from your computer before doing so. Windows alone cannot wipe data. Even if sensitive files are deleted using the Recycle Bin, they can easily be restored using various data recovery programs. Here are three simple steps to help you ensure your files are wiped once and for all. Step 1: Delete Volume Shadow Copies. Windows creates Volume Shadow Copies of system files and some of your personal data (i.e. files residing in C:\Users\Username). Normally, it’s a great way to restore previous versions of files that may be accidentally deleted. Unfortunately, it’s also a potential liability as these files can be restored. On a PC soon to be decommissioned, you’ll want to get rid of these Volume Shadow Copies by right-clicking on “Computer” and selecting “Properties”. Go to “System Protection”, select your system drive and click on “Delete”. This will delete all of the previous versions of files kept by Windows. But beware! The next time your PC is idle, these Volume Shadow Copies will be recreated. If you’re in the habit of safely deleting files, you might just want to turn them off altogether by clicking on “Turn off system protection”. Be careful doing this because it will not only disable the previous version restoration feature—it also disables System Restore and can affect some backup tools (such as Macrium and Paragon) which rely on Volume Shadow Copies. Step 2: Safely delete files. To safely destroy data, we’ve created a wiping mechanism called TuneUp Shredder. It uses several algorithms that comply with data security standards and render files unrecoverable. Grab the trial version of TuneUp Utilities 2012. 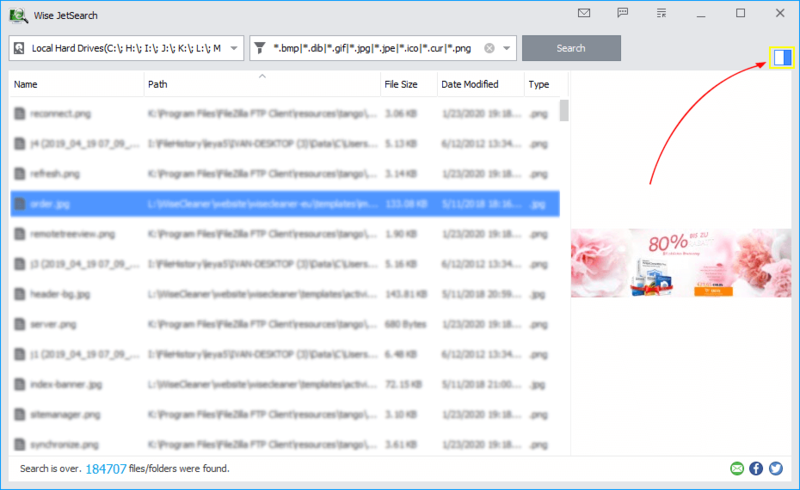 This will add a new context menu item (TuneUp Shredder) to your Windows explorer. Simply right-click on the folder or file you’re trying to securely wipe from your machine, and select this menu item. Next, choose your algorithm. Keep in mind that it is next to impossible to recover the data, even with the “Fast delete” option, since you’ll essentially be overwriting it. However, if you want to be absolutely sure that this data is rendered irreparable, go with one of the more advanced methods. Hit “Yes” to delete the file. Step 3: Completely wipe a drive. If you’re going to donate your PC, it’s wise to perform a complete wipe of the entire hard disk. In the past, I’ve used and recommend either Active@ KillDisk 5.5 (the Pro version creates a bootable KillDisk USB key that you can use to destroy the data) or Darik’s Boot And Nuke. These tools overwrite your entire hard disk with zeroes or multiple writes of different characters (much like TuneUp Shredder). Now, while this works well on mechanical hard disks, you’re out of luck if you have an SSD. SSDs’ data gets written and deleted in a very scattered fashion, and neither the user nor the operating system has control over where the actual data is stored—it’s all done by the SSD controller. This whitepaperproves that while some data can be destroyed (either by using some of the built-in mechanisms or third-party tools), in many cases, the data was still intact. The only SSDs that can be safely wiped are those that include the ATA Secure Erase command. If it does, the Kingston Red Tech Blog provides detailed steps on how to perform a secure wipe of the hard disk using HDDErase (which issues the ATA Secure Erase command to your SSD firmware). If your drive doesn’t support this mechanism, you should try to fully encrypt your hard disk and delete the encryption key. Windows’ own BitLocker (available in higher Windows Vista and 7 editions) is one possible way. If all fails, physically destroy the drive—pure brute force or some pyrotechnics might do the trick. For additional tips and tricks on securely wiping files from your PC and maintaining system performance, I invite you to visit the TuneUp Blog about Windows. I noticed on the Microsoft Privacy & Safety Site, a step-by-step (easy) method for creating complex passwords. I started using this method and now find myself using it all of the time. I suggest you bookmark or print out this method. It may look like there is a lot to it; however, it actually is quite easy to do. Step 1: Start with a sentence or two (about 10 words total). Think of something meaningful to you. Example: My cat is named Bucket. She is a fat cat. Step 2: Turn your sentences into a row of letters. Use the first letter of each word. Step 3: Add complexity. Make only the letters in the first half of the alphabet uppercase. Step 4: Add length with numbers. Put two numbers that are meaningful to you between the two sentences. Step 5: Add length with punctuation. Put a punctuation mark at the beginning. Step 6: Add length with symbols. Put a symbol at the end. Now test the strength of your Password [HERE] at the Microsoft Safety & Security site. Steve over at Scoronococlo has done it again! When it comes to blogging, Steve is focused on quality of content and not quantity. This go round, Steve informed me that he drafted an article about a relatively unknown component of Google, called Google Dashboard . The article is titled, “Google Dashboard – How Much Does Google Know About You? “. To be honest with you, I have heard of the Google Dashboard, but I never really explored it; until now. The dashboard component of Google’s service, that Steve refers to, is available to anyone that has an account with Google. In other words, if you have a Gmail account you can get to your personal dashboard. “Google Dashboard can help you to understand how much of your personal information is being stored on Google’s servers.” . In a nutshell, the dashboard is a summary of what information you are actually sharing with Google and the stats for the various Google accounts you maintain. Now, for the grand finale, [ CLICK HERE ] to find out how you can access this dashboard and give Steve a great round of applause. Steve over at Scoroncocolo contacted me, with the following email, about a very recent article he drafted called Google Web History. The article was a real eye opener to me (privacy risk) that shows a potential dark (and spooky) side to Google. You can jump to the article [ HERE ], but before you do, the email he sent me was also interesting in itself and made me want to read the article. To read more about Google Web History and how you can avoid being tracked, visit Steve’s site and read his article Google Web History . Did you know that if you use the Bcc field in your email client to address and send an email to multiple users, the recipients will not see whom you sent the email to? I just read an article at 404 Tech Support that is very important and is something YOU NEED TO KNOW! The article, “Photocopiers, an Identity Theft Goldmine” (with an informational video) really caught my attention. With my background in IT and computers, the article made me come up with my own spin on all of this. The reason the article caught my attention, and believe me I am very security conscious, is that I recently went to a local business establishment to make copies of important documents that contained sensitive information in regards to my privacy. I never once thought about whether my privacy or information could be compromised by using a copy machine. Like most people, my priority at the time was that I needed the copies to meet a timeline. Am I being too parenoid? Let me know… Comments are always welcomed! Since computers have become mainstream in everybody’s home since 2000, it is not uncommon today for people to have 2 or 3 computers in their homes. Today, computers in the home are looked upon as throwaway appliances. When the life cycle of the computer is finished, the user will either throw the computer in the attic (or closet) to collect cobwebs; discard it in the garbage; or, if still useable, will hand it down (or sell it) to someone else. During the ownership of our computers we are constantly reminded of the security and privacy threats; and will go to great extremes to protect the data on our PC’s from prying eyes. What we forget is that this type of proactive attitude should not stop when the life cycle of the computer has been completed. From my experience I have seen a very high percentage of people discard a PC with their data still intact on the hard drive. Even if the computer is no longer functioning, the data is still there! Even if you are being proactive and formatted the hard drive, the data is still there! Have the hard drive removed and the data professionally eradicated (destroyed), professionally degaussed (demagnetized) or professionally shredded (like shrapnel). All of these options are at cost; however, you will (or should) be provided with certification that your data is now non-existent. Remove the hard drive and destroy the hard drive yourself. Drill holes in it, use it for target practice, flatten it with a sledge hammer, etc… There is no certification with this process and yes there is the possibility that James Bond 007 could extract data from the drive (but this is highly unlikely, unless you are a person of interest). Use data eradication software. This option is a good option for the home based user; AND, the good news is that there are several FREE software products (see below) that are available. Hard Drive Eraser is free Windows application that permanently erase the data on whole volumes (hard drives). It does so by filling the magnetic surface multiple time with a useless binary data. It is a known fact that it is impossible to permanently destroy data just by formatting hard drive. PCDiskEraser enables you to easily, quickly and permanently erase all data that is personal, confidential and critical on your hard drive – and has the capability to erase to both U.S. Department of Defense 5220.22 and German Military Government standards. Active@ KillDisk – Hard Drive Eraser is powerful and compact software that allows you to destroy all data on hard and floppy drives completely, excluding any possibility of future recovery of deleted files and folders. It’s a hard drive and partition eraser utility. I was thinking about the time I first accessed the internet, up to the present, AND was questioning myself; “What have I put out there?” Now, I am talking about anything and everything from emails, web accounts, web mail, online purchasing, online chatting, files, credit card numbers, etc… Actually, I try to be very careful of what I am doing; however, what little I have put out there, is out there AND there is no turning back. The little bit of information I have put out there is just enough that my identity and privacy could ultimately be breached. Recently we all read in the news where the ESPN reporter was a victim of a peepster who posted shots of the reporter on the internet. I actually was chuckling when there were reports of trying to stop this transgression and get it back. There is no getting it back… In this case, the internet takes over, and these shots were spinkling down on people’s PC’s like rain (a million drops a second). There is just no way to stop it and there is no way to get it back. It amazes me what people are putting out there on the social network sites, such as Facebook and MySpace. Remember, when the information you are posting is “all about you”, it could come back to haunt you years down the road. The younger generation, oblivious to privacy, is telling it all and exposing sensitive matters about themselves that would make a sailor blush. Email is another interesting tool that we use that leaves a trail. My email sending policy, is to keep it short and never express my feelings about something or someone. Once you hit that send button, it rockets into cyberspace, which in essence can be infinity. Email can remain on servers forever. To give you an example, when I retired, my email account (at a government agency) remained active for over 2 years until I demanded it be terminated. Termination of the account took it out of the public’s view; however, my data and email correspondence was still there. The purpose of this article is to heighten your awareness about your identity and privacy; AND to make you think about what information you are giving away about yourself. It is human nature to investigate and to be curious. With just knowing your name and your zip code, a person with bad intentions can get your address, a map to your house, a photo of your residence, your property tax records, and it goes on and on. Simply by using Google or Yahoo you can find an abundance of information by simply entering a person’s name; however, there are online services that specialize in deeper searches (see below). I encourage you to perform a search for your name, using these services. If you know of any other services, please leave a comment below.